HERE IS A SMALL FACT - YOU ARE GOING TO DIE. 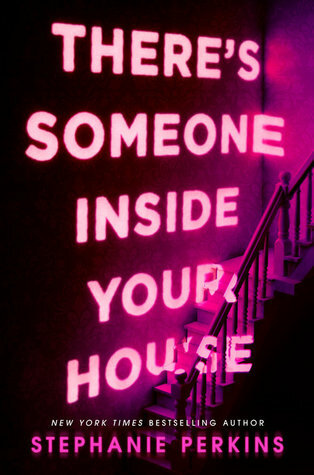 SOME IMPORTANT INFORMATION - THIS NOVEL IS NARRATED BY DEATH. It's a small story, about: a girl, an accordionist, some fanatical Germans, a Jewish fist fighter, and quite a lot of thievery. 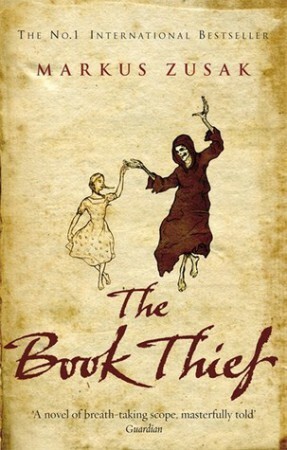 ANOTHER THING YOU SHOULD KNOW - DEATH WILL VISIT THE BOOK THIEF THREE TIMES. I read The Book Thief earlier last year and I don’t think I made a full recovery. In fact, I think Death has visited me several times. Judith and Tatum had warned me about it, and I went into the book knowing it was going to tear out my soul, but that still wasn’t enough preparation. The Book Thief is one of the best heart-wrenching books I have ever read. I won’t go into just how much I love history (in summary, I love it a lot) but I have been a bit worn out with WWII history over the past few years. It’s pretty much all we study in school history classes from Year 6 (age eleven) onwards, so I rarely seek out WWII fiction. That’s not to say I don’t enjoy it, because I do. I love it a whole lot. It’s just not my go-to if I want an historical novel. But The Book Thief gives a whole different take on WWII. It’s about a German girl who lives in Nazi Germany, whose family and friends are part of the doctrine, either willingly or not. A lot of people, especially those in the UK, write off books about Germans during WWII because they seem to think that the authors are Nazi sympathisers. I want to smack those people on the head with a book because that is not the case at all. In the case of The Book Thief, for example, it is a pretty good depiction of what the average person went through when living in Nazi Germany. The fact of the matter is, most people didn’t get a choice in the matter. They had to support the Nazis and Hitler’s regime or they and their families would be punished for it. Many people in the UK don’t seem to realise that. And it saddens me when people refuse to read novels because they think the authors are trying to brainwash the reader or whatever. Anyway, mild rant over. The Book Thief is a slow burn novel. Nothing much happens in terms of action, but the major events that do happen are heart breaking. Death narrates the story and he follows Liesel through the early years of her childhood after she is taken in by a new family during the war. Through Death’s eyes, and also Liesel’s by default, we get to see what life was like for children in Nazi Germany. The ending is the most painful thing I have read in a while, and we even know that it’s coming because Death bloody warns the reader before it happens. I almost didn’t want to continue, but I was already hooked by that point so I had to stick with it until the end. I completely broke down while reading. It’s a good thing I love emotional breakdowns when books are involved. I would highly recommend The Book Thief to those few people who haven’t already read it. It’s a beautiful story of friendship that will stab you in the heart a couple of times and leave you lying in the street. Doesn’t that sound appealing? I have been wanting to read this for so long now, but every time I try to read it, something comes up and I have to put it down! I hope 2015 will finally be the year when I actually read the whole book. I love The Book Thief and I agree a lot with your review. The progression of the novel is slow, but it makes you feel everything. I recommend The Book Thief to everybody because it so unique and soul crushing. An author has to be REALLY good to keep my attention when there’s no action, but Zusak was fantastic. Love your review. You describe it so well! I broke down while reading this book, too. Just remembering that one part…nearly makes me want to cry again. I’m surprised at myself. Every single person I know has told me to read this book, from the sister I have a weird relationship with to my best friend, to three years worth of English teachers. I knew it would probably be great and heart-wrenching and yet for some reason I didn’t read it. What’s up with my brain? I even broke the cardinal rule of, well, life, but also of reading, and I watched the movie. Don’t ask me why. I have no idea. I didn’t know it was narrated by Death though, so I may pick it up despite knowing how it ends. I loved The Book Thief! It’s one of those books that just completely breaks your heart. I love that Zusak wrote such an interesting + different perspective on this particular time period, and I love the way he chose to narrate it. Very unique, and very memorable read! Agreed! His idea was genius. This book.. only thinking about it makes me want to cry my eyes out and I don’t cry about books most of the times. There is something about this story that gets to me, no matter how many times I reread it. I LOVE THE BOOK THIEF. SO. MUCH. I still can’t read the ending without bawling my eyes out, though. You’re so right about the amount World War studies we do… I’m currently doing The League of Nations and all the crisis after WWI that led to WW2. It’s so political, and quite tiring since all of last year was spent learning about what actually went on during both wars. Still- I love History and I’m desperate to get onto 1920s America!! 😀 Love the review, Amber!